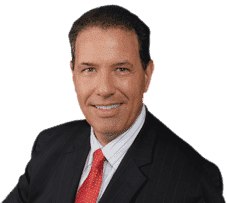 Your Slip and Fall Attorney for Parkland, Robert E. Gluck, understands the personal injury branch of the law and has the experience necessary to maximize a settlement. A slip and fall accident or incident, can happen in any place like a shopping center, a bank, a school, or anywhere else. It can happen as a result of slipping on another person's property, falling on a wet floor, or even using a damaged product. Regardless of how it happens, as long as negligence can be proved you will have a good chance of winning a settlement. Contact Robert E. Gluck today to schedule your free consultation. Once your Slip and Fall Attorney in Parkland, Robert E. Gluck, has evidence of negligence he can start a full investigation of your case. Negligence is when a reasonable person fails to provide a certain level of care, and another individual is injured as a result. If the other party was negligent, that person will be held responsible for your medical bills. Robert E. Gluck will fight hard to protect your legal rights and to make certain you are treated with respect. He will work on your behalf to try to get you a settlement you deserve. Hiring a Slip and Fall Attorney in Parkland will increase your chances of getting a settlement to pay for your medical bills. Research indicates that an injured person who has a lawyer is more likely to receive a settlement. It is equally important that you do not wait too long to contact one. Robert E. Gluck will work hard on your behalf to win the case and get you the financial settlement you are entitled to. With Robert E. Gluck at your side you will feel less stressed and immediately feel more confident about your case. Your Slip and Fall Attorney for Parkland, Robert E. Gluck will look for witnesses and get their statements. He will take pictures of the scene and find video footage to preserve. Robert E. Gluck will also look for property damage and put together all the evidence he can find. Once he has all the evidence he needs he will file your slip and fall claim to try to get you a settlement. Hiring a personal injury attorney puts you at a huge advantage and greatly increases your chances of winning your case.